Essence Magazine offered this opinion column by Michelle Duster, the great granddaughter of Ida B. Wells, an important suffragist and civil rights leader. New York State has approved monuments of Sojourner Truth and “General” Rosalie Gardiner Jones. 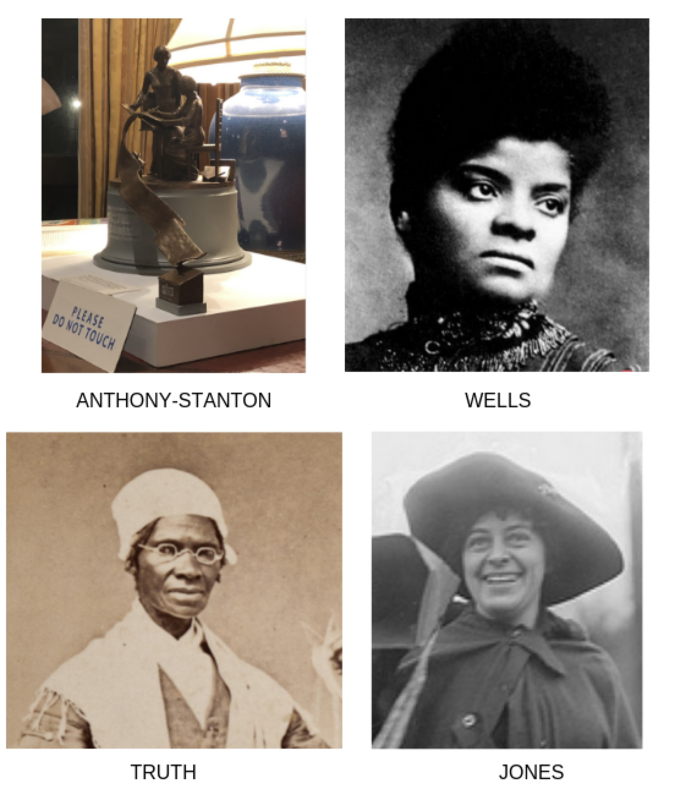 The artist Meredith Bregmann has designed the proposed sculpture of Susan B. Anthony and Elizabeth Cady Stanton for Central Park.